Patents: Incentives or Hindrances for Innovation? As technology becomes ever more complex and larger investments in R&D are increasingly necessary to develop novel and innovative products, the role of patents as a corporate incentive for R&D is becoming increasingly controversial. In previous po sts I focused on the topic of incentives mainly from the perspective of the R&D scientist or an innovation worker. However let’s switch gears and look at incentives from the company perspective; especially the patent system. Traditionally patents have been an incentive to invest in R&D to produce novel, new products by granting exclusive rights to market those products for a limited period of time while the company recoups the initial investment in R&D, and hopefully makes a profit. The Constitution … Did you know that we can find protection for creativity and innovation in the U.S. Constitution? Article 1.8 of the Constitution says [that one of Congress’s powers is] “To promote the Progress of Science and useful Arts, by securing for limited Times to Authors and Inventors the exclusive Right to their respective Writings and Discoveries”. The authors of the constitution, including Benjamin Franklin, an inventor and author himself, recognized the need for a Patent and Trademark system that would protect inventions and original works of authorship, thereby creating a value for Intellectual Property and providing an incentive for innovation. Jobs’ apparently contradictory statements illustrate the difficulty of achieving balance in our patent landscape. Generally your perspective depends on which side of the “patent fence” you are sitting on at the time: protected patent holder or pre-patent inventor. Naturally, if you feel someone is blatantly copying your patents, you want to aggressively protect your patent rights but if you are developing new products, you reserve the right to incorporate other people’s ideas into your products. The line between incorporating other people’s ideas and not infringing their patent rights can be tenuous. Patent Trolls & Patent Wars … Unfortunately the proliferation of “patent wars” and “patent trolls” are currently inhibiting innovation rather than incentivizing innovation. In current patent law, the condition of patentability is that the subject matter should not be “obvious to a person having ordinary skill in the art to which it pertains”. The threshold for this novelty condition is essentially a subjective judgment made by the patent examiner during examination of the patent. Long “patent wars” can occur if the examiner’s judgment is challenged and these disputes can lead to prolonged litigation where the outcome is unpredictable. The irony is that because the duration of patents is 20 years and the time to resolve patent disputes is also long and costly, questionable patents can actually hinder innovation until the matter is resolved or the patents expire. The 20 year protection term for a patent also blocks innovation in the market place if a company “sits on their patent”, does nothing to develop the technology/patent further and refuses to license the pat ent. Since a company/patent holder cannot be forced to license or develop a patent, these patent holders stifle the original purpose of the patent system by holding future innovation hostage. “Patent trolls” or “patent assertion entities” have evolved as commercial entities that focus solely on acquiring an extensive patent portfolio and aggressively asserting their patents using litigation against manufacturers already using the patented technology (after infringement and lock-in have occurred), rather than developing and transferring their own technology1,2. Obviousness Abounds … Another problem of the current patent system is that too many patents that appear to be obvious are being granted. Because a 20 year patent can enable a company to deter others from inventing in its neighborhood, innovation and the development of technology can be hindered, especially for broad patents which are incremental or appear to be obvious. Effect on Simple and Complex Technologies … One of the current issues with patents is their application in products containing simple technologies, verses complex technologies. In simple technologies, such as chemicals or pharmaceuticals, the use of patents works reasonably well. Pharmaceutical companies patent a new chemical entity that has efficacy against a disease in a medical field to protect their large investment when they commercialize the new drug. The new chemical entity is the novel technology and defines the simple drug product. 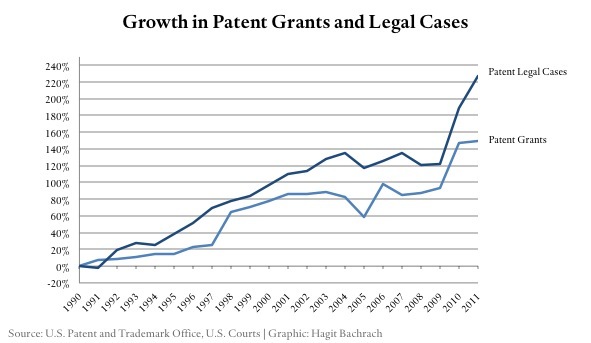 While the length of patent protection will always be up for debate, and “obviousness” may be an issue, at the end of the patent protection period, generic products will enter the market at lower prices, incentivizing the innovator company to continue developing new novel products to maintain their competitive advantage. By contrast, in complex products, many technologies are needed to make the product work. For example, a smart phone or an aircraft are complex products. Companies developing complex products have tended to file for large numbers of incremental patents, so as not to be blocked from the use of an invention by a minor technology that some other company might hold…..i.e. it is a defensive strategy as opposed to the offensive strategy used for simple technologies. As complex technologies emerged, companies initially tried strategies such as formal patent “pools” where companies banded together to share patents. Unfortunately formal patent pools became suspect under US anti-trust legislation. Since companies cannot “pool” patents they must patent as many of the components or sub-components of a technology to build up the strongest position for cross-licensing so that they will not be blocked. The catch is that it is virtually impossible for a company to develop and patent all the technologies used in a complex technology such as a smart phone or an aircraft. This has led to many patent “wars” of which the Samsung vs Apple smart phone is a current example. Sometimes these “wars” hinder innovation by blocking access to a minor technology needed to develop a com plex product3. If the owner of the minor technology refuses to license it, innovation can be stifled and the complex product cannot be marketed unless or until there is a work around for the minor technology. Alternatively “patent trolls” or “patent assertion entities” assert their patent rights against manufacturers of complex products often in frivolous law suits forcing an expensive licensing situation or a work around due to the threat of expensive and time consuming litigation2. Either way innovation can be delayed. Suggested Changes to the Patent System … Even the White House is participating in the debate. A recent White House paper1 from June 2013, addresses the negative effect and role of “patent trolls” on the current patent system. Both academics4 and captains of industry5,6 have also suggested that the current patent system needs revamping. John Chambers, the CEO of Cisco and Carl Bass the CEO of Autodesk have both recently talked about this5,6. Patents, in my opinion, should only be granted for major innovations or major advances in technology, not incremental ones that are obvious to persons skilled in the art. This is easy to say but hard to implement for a patent examiner as this would involve judgment on the examiner’s part. A possible solution would be a tiered approach to patent protection7,8. In a tiered approach, major innovations would be protected by 20 year patents that are more thoroughly examined and incremental innovations would be protected by a second tier of protection with a relaxed novelty requirement and for a much shorter time period, say 5-10 years. One suggestion made by William Kingston7 (a noted academic researcher in the patent field from Trinity College in Dublin) is the “innovation warrant”. In a tiered approach to patent protection, the “innovation warrant” would occupy the second tier. Unlike a patent, the novelty criterion would be relaxed to anything not currently commercial. This novelty criterion would then be based on fact rather than judgment as required currently for a patent. The patent applications would publish immediately on the Internet but the period of exclusivity would be shorter than for a patent and would be irrevocable. 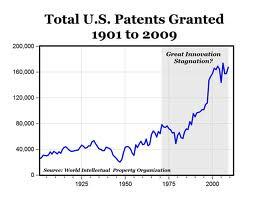 In this way many “obvious” patents might still be protected by an “innovation warrant” of shorter duration. Another idea is that patent holders be forced to license their patents under certain situations, especially for complex products; for example, after a certain time period and/or if the patent is not being used by the patent holder or by compulsory arbitration. As a side note, the patentability of software seems to be a particular pain-point3,9. Many opponents to software patents believe software is better covered by copyright protection and that R&D is hindered by software patents. They argue that software patents drive up the cost of software development because of clearance searches, patent examination is too slow, and finally many software patents are trivial. Maybe software could be better protected by the “innovation warrant” or by a “beefed-up” copyright law. Summary … Patents are an important incentive for innovation in the US. The patent system however is overburdened with too many patents that appear to be obvious and by a legal system that takes too long to resolve patent issues. 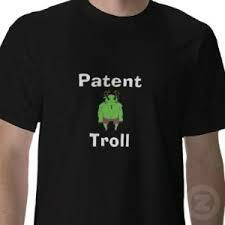 “Patent wars” and “patent trolls” exacerbate problems in the patent system. The patent system needs to be improved especially for complex products. A one-system-for-all clearly is not working and a tiered system of patent protection with “patents” and “innovation warrants”, along with other changes might improve the environment for innovation in the US. To help implement change in the patent system, please lobby your representatives in Washington or support your employer-company PACs on this issue.